If you don’t have traffic to your website, you won’t have leads. Many think there’s magic to ranking a website in Google. We do consider content marketing “magic” but it’s simple to do and will allow you to rank for thousands of motivated keywords over time. 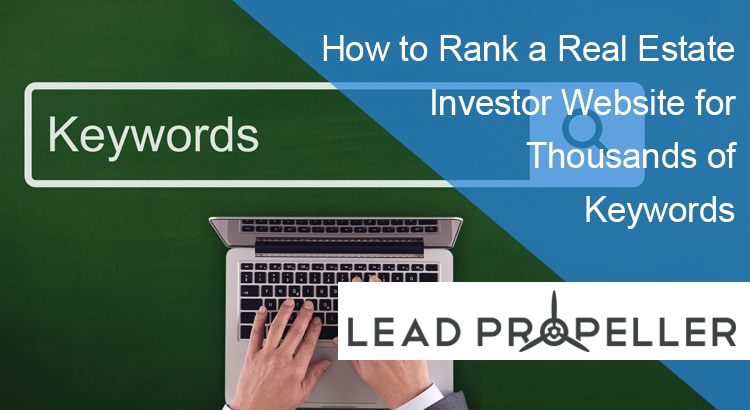 We’re going to go over how to rank a real estate investor website for thousands of keywords like the pros do. Believe us, it can be done. If you take these tips and do them right, you’ll be dominating your local searches! In fact, Danny’s website ranks for thousands of keywords. The trick is not doing what everyone else is doing. How many other real estate investors are also publishing articles with the keyword “We Buy Houses”? The answer is a lot. There are so many because that’s too broad of a keyword. But we’ll talk about that further down. 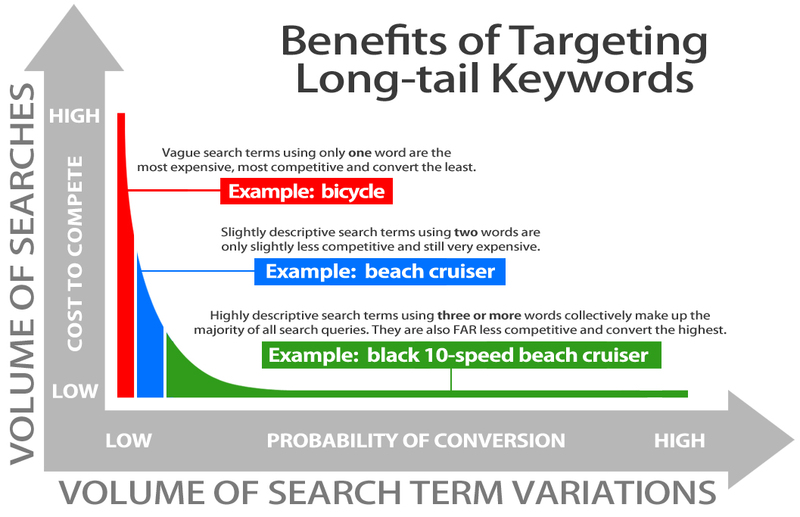 The first step for ranking a real estate investor website for thousands of keywords is going with “long tail keywords”. We briefly talked about it in our SEO Guide Part 1, check it out if you haven’t already! Google is smart. Really, really smart. So smart that their algorithm tracks a searcher’s behavior. Knowing what Google is tracking to determine ranking is important for constructing your content marketing. Google is looking for behavior such as what’s being searched, related search results, selection of search result, time on page, bounce rate, if the searcher returns to Google, and what other additional needs they searched for. That last one is important. Let’s say a searcher types in “what to do with a house” and they find your website. If they’re not a motivated seller at that moment and return to Google only to click on another link, Google will know that your site didn’t answer their search question. Essentially that means that your website didn’t match the relevancy of the search. Google doesn’t like that. Which is why long tail keywords are perfect for ranking your real estate investing website higher in Google. A lot of the time a searcher in your target audience won’t be motivated to sell their house immediately. Don’t get us wrong, you still want to try and rank locally for keywords like “we buy houses” and “sell your house fast”, but there’s lots of competition for those keywords. When you use long tail keywords, you’re attracting a searchers with a specific problem who have the potential to become motivated sellers. That’s the whole point of content marketing: casting your net wide for your target audience. Let’s say your competition is only making content with the keywords “we buy houses”. Ok, they might outrank you there. But if you’re making content with long tail keywords like “what to do with an inherited house”, you’re targeting someone with a real estate related problem. The important thing about content like that is offering your business as a solution to that problem. Again, since most searchers aren’t ready to sell yet you have to address a problem they’re having and offer your services as the best possible solution. That’s how you get them to your homepage where they fill out a form and become a lead. 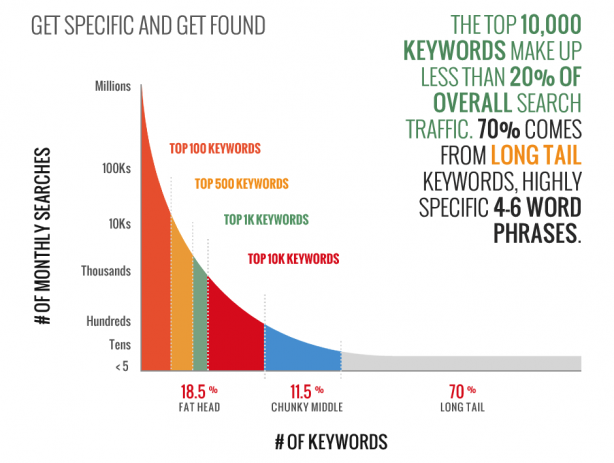 All of these long tail keywords address specific problems that people are searching for. These searches mean that they might not be ready to sell yet, which is why the articles you rank for should convince them that selling is their best option. Which leads us how to rank a real estate investor website tip number 2! 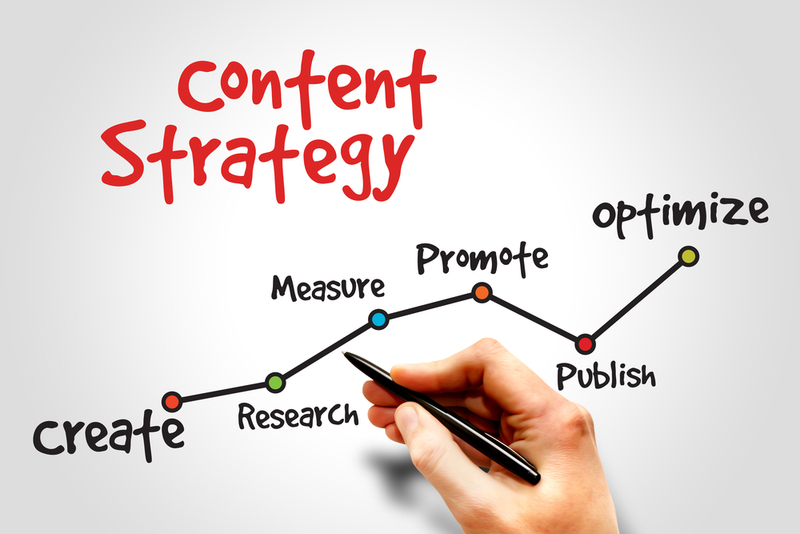 Content marketing has lots of components, but the most important one is blogging. Each blog post is a page that gets individually ranked in Google. This is the secret in how to rank a real estate investor website for thousands of keywords. 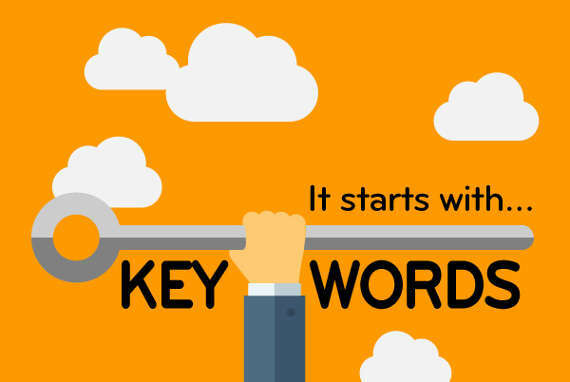 Making each blog post center around one variation of a long tail keyword will keep you relevant to lots of searches. And so on. 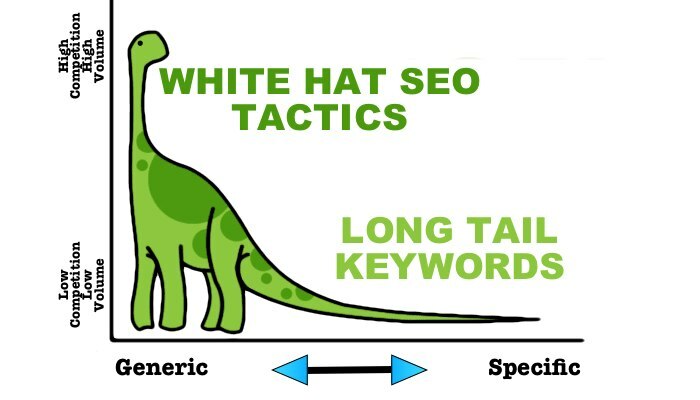 The great thing about long tail keywords is that each variation is perfect material for its own blog post. Meaning, one of those suggestions that we gave you can easily make anywhere between 8 to 12 articles. With those suggestions alone, you’re looking at at least 40 different blog posts for your real estate investing website. That’s amazing! These aren’t suggestions, these are requirements. Remember, Google’s ranking algorithm is very smart. Getting your real estate investing website ranked is all about providing valuable information to searchers on Google. Your blog posts need to not only answer those questions, but be search engine optimized to let Google know that you’re the best search result for queries such as “how to stop foreclosure”. Search engine optimization is always changing, but the essential parts are generally the same. Writing a blog post isn’t just shouting into the void anymore, you have to make it specific to the needs of your target audience (that’s what content marketing for real estate investors is all about). We had an entire SEO Guide series of articles that you should definitely check out if you haven’t already. We’re going to be doing an overview of the best SEO practices for how to rank a real estate investor website in this section. Buckle in because we’re about to zoom through this SEO for real estate investors crash course to rank your website. Don’t worry, we’ll be linking to the full articles we’ve already written so that if you want more information you can look there. Ok, let’s go! We have an entire article about keywords for real estate investors and SEO here, so if you’re still unsure give it a look. All of these titles are perfect for H1 or H2 tags in you article. In basic HTML speak, an H1 or H2 tag makes a heading and sub-heading within your article that better organizes it. When Google sees your keyword in those tags it shows that your article is about this specific search question, and is answering that question throughout the article. You need to include your keywords in your page’s meta description as well. The meta description is the little sentence under a headline that appears in a Google search. When your keyword is featured in the description you will rank higher, and attract the attention of the searcher. Meta descriptions will be found in your Yoast SEO settings under “general”. When you’re setting the keyword and title, don’t forget to write the description. Make sure the description matches what the article will be about as well as featuring your keyword. Remember, Google’s algorithm tracks a user’s behavior on the pages they visit. This is why user interaction is so important in how to rank a real estate investor website in Google. User interaction can be broken down into three basic actions. Bounce Rate – the time it takes for a searcher to click on your link, then click away. You don’t want high bounce rates. 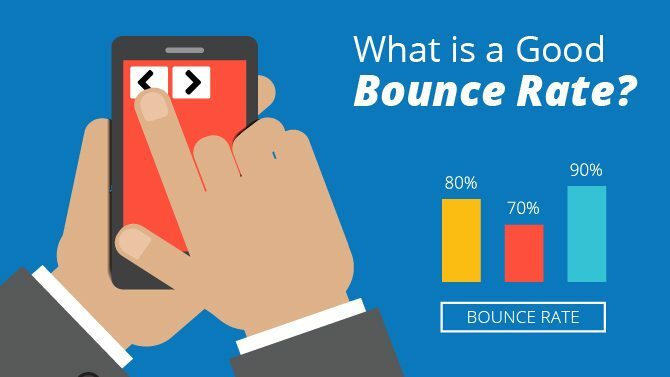 If bounce rates are high, that tells Google that your content doesn’t match a searcher’s interests. That’s very bad for your real estate investing website’s SEO. Good ways to avoid a high bounce rate is making sure your keyword matches the content of the page, linking to relevant third party websites, and not misdirecting your link to an irrelevant page. Time on Page – Google tracks how long a visitor is on your page for. This might sound like bounce rate, but they’re a little bit different. The longer a visitor is on your page, the more relevant Google finds your content. Think of your website as a storefront: the longer someone stays in your store, the more likely they are to find what they’re looking for. You definitely want a high time on page to rank your real estate investing website. Pages Per Visit – this refers to how many pages on your website a visitor goes to during one session. Google cares about this when it comes to ranking your real estate investing website because, if a visitor goes to many pages and stays for a long time, then your content is relevant to searches. The more relevant to searches you are, the higher you will rank. This is why linking to other pages on your website is an absolute necessity when it comes to optimizing your blog posts. We breezed past these, so if you want a better break down of user interactions check out our SEO Guide Part 2 article here. For a full look at our SEO Checklist, read our SEO Guide part 4 here! Let’s move on to the crash course. 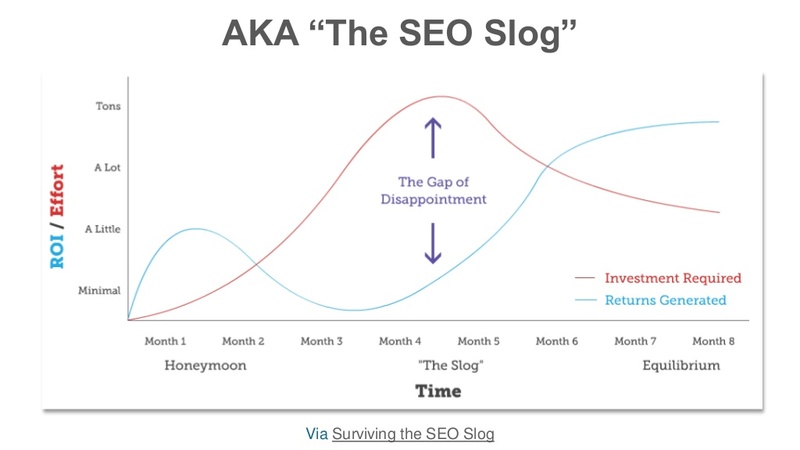 Understanding and being able to implement SEO for real estate investors is hard. We know that. That’s why we have an SEO service for real estate investors that is personalized to your business. Stop wasting all of your time in front of a computer when there are experts waiting to help you! Feeling overwhelmed? We don’t blame you. You’re an expert at real estate investing, not search engine optimization and content marketing. Of course you always have options. You can hire a full time content marketer, or you can find a freelancer to write your articles as needed. However, that’s not the most cost effective solution. Most often than not, the people you hire to do your content marketing aren’t real estate investors. Meaning they won’t be able to address the concerns you know your target audience is having. You’ll be spending money on articles that won’t appeal to your audience. That’s just wasteful. Which is why we made content packs for real estate investors. There’s no better solution if you’re looking for how to rank a real estate investor website to reach your target audience. Our content packs can be installed on your LeadPropeller website with the click of a single button. Seriously, it’s that easy. Not to mention you get two free articles with your website. Pretty neat, right? Each content pack contains 8 – 10 professionally written, search engine optimized articles that are personalized to your business! Each article will feature your target area, you business name, business contact information, and link to other articles and pages on your website. We’ve taken all of the complications out of content marketing so that your website will rank higher in Google searches. And the best part? These articles are set to drip release 1 a week so that your website is constantly staying fresh with relevant content for your target audience. Each content pack targets long tail keywords that your audience is already searching, and that your competition isn’t even thinking about. So what are you waiting for? 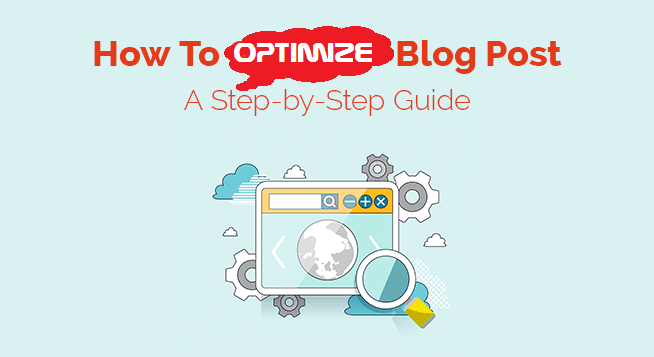 Don’t spend all of your time writing and optimizing your own blog posts. You have more important things to do with your time. And don’t go wasting money on writers that aren’t real estate investing experts. Let our professionally written, SEO built content packs rank your real estate investing website so you can build up your online presence! Real Estate Investor Direct Mail is Dead?